MINIMISE BREAKDOWNS WITH OUR CONDITION MONITORING SERVICES. We provide detailed, analytical reporting compiled from our ‘state-of-the-art’ Testing Equipment. We can trend the insulation & dielectric strength of electric motor windings to help predict and stop premature failure of your motors & machines. We can monitor the voltage, current & torque levels; the harmonic distortion, rotor bar & overall online machine health with the SKF EXP4000. 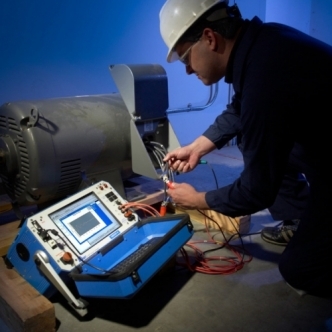 We provide full detailed reports for vibration analysis & alignment services for electric motors and machines.